The Erie's Blossburg branch was a surviving remnant of the Corning and Blossburg Railroad (later the Blossburg and Corning Railroad and eventually the Tioga Railroad). Taken over by the Erie in 1882, the line branched off the Erie mainline at Gang Mills (west of Corning) and crossed the Tioga River to use trackage rights over the New York Central's Fall Brook Line as far as Lawrenceville, where it diverged to continue to Blossburg. 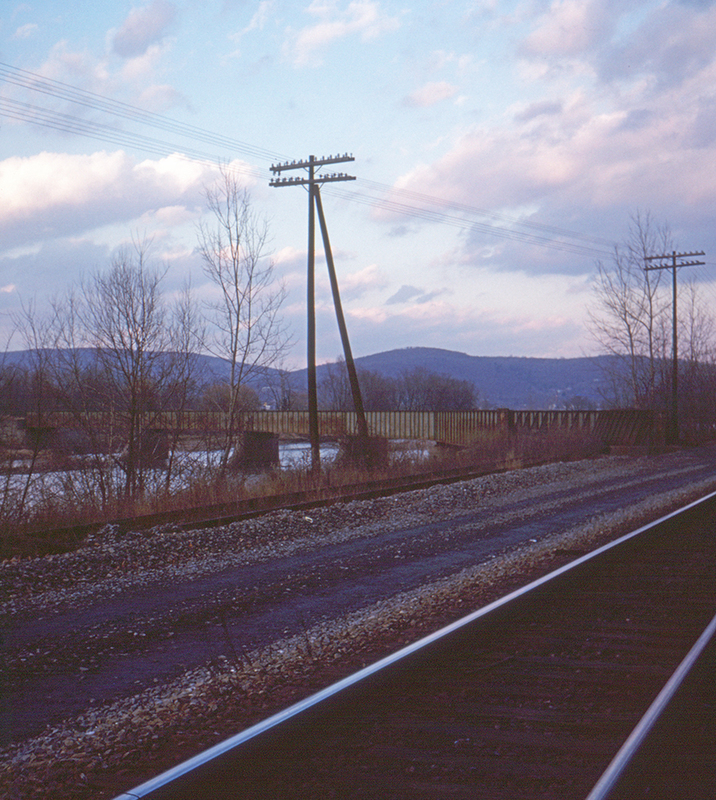 The line was badly damaged by Tropical Storm Agnes in 1972 (the same storm that sent the Erie Lackawanna into its final bankruptcy) and abandoned. The bridge over the Tioga River still stands today (2018).